Is There a Role for PI3k Inhibitors in Breast Cancer? Maybe. Over the past decades oncologists have learned that cancer is driven by circuits known as signal transduction pathways. The first breakthroughs were in chronic myelogenous leukemia (CML) where a short circuit in the gene as c-Abl caused the overgrowth of malignant blasts. The development of Imatinib (Gleevec) a c-Abl inhibitor yielded brilliant responses and durable remissions with a pill a day. 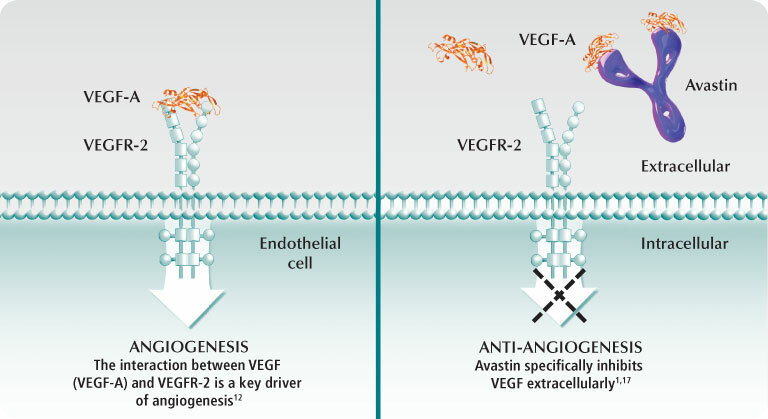 The next breakthrough came with the epidermal growth factor pathway and the development of Gefitinib (Iressa) and shortly thereafter Erlotinib (Tarceva). Good responses in lung cancers, many durable were observed and the field of targeted therapy seemed to be upon us. Among the other signal pathways that captured the imagination of the pharmaceutical industry as a potential target was phospho-inositol-kinase (PI3K). Following experimental work by Lew Cantley, PhD, who first described this pathway in 1992, more than a dozen small molecules were developed to inhibit this cell signal system. The PI3K pathway is important for cell survival and regulates metabolic activities like glucose uptake and protein synthesis. 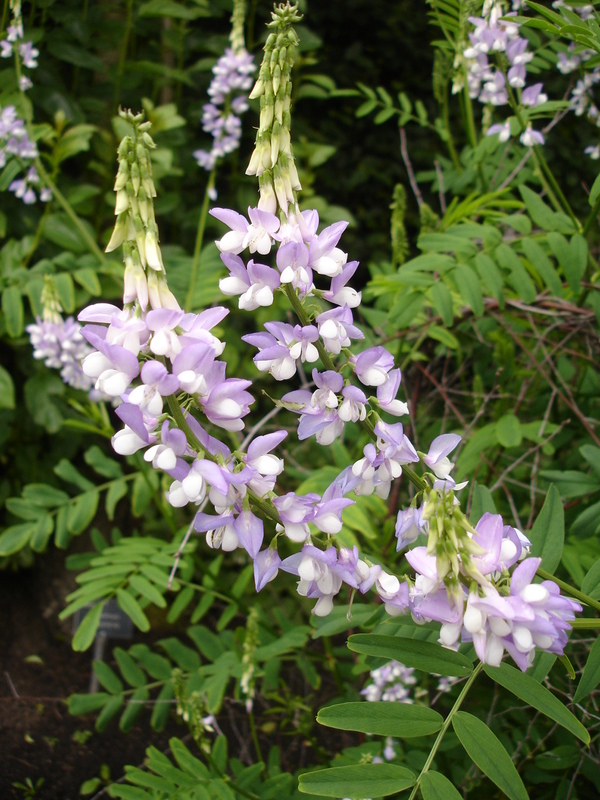 It is associated with insulin signaling and many bio-energetic phenomena. The earliest inhibitors functioned downstream at a protein known as mTOR, and two have been approved for breast, neuroendocrine and kidney cancers. Based on these early successes, PI3K, which functions upstream and seemed to have much broader appeal, became a favored target for developmental clinical trials. The San Antonio Breast Cancer Symposium is one of the most important forums for breast cancer research. The December 2014 meeting featured a study that combined one of the most potent PI3K inhibitors, known as Pictilisib, with a standard anti-estrogen drug, Fulvestrant, in women with recurrent breast cancer. The FERGI Trial only included ER positive patients who had failed prior treatment with an aromatase inhibitor (Aromasin, Arimidex or Femara). The patients were randomized to receive the ER blocker Fulvestrant with or without Pictilisib. With seventeen months of follow-up there was some improvement in time to progressive disease, but this was not large enough to achieve significance and the benefit remains unproven. A subset analysis did find that for patients who were both ER (+) and PR (+) a significant improvement did occur. The ER & PR (+) patients benefitted for 7.4 months on the combination while those on single agent Fulvestrant for only for 3.7 months. The FERGI trial is more interesting for what it did not show. And that is that patients who carried the PI3K mutation, the target of Pictilisib, did not do better than those without mutation (known as wild type). To the dismay of those who tout the use of genomic biomarkers like PI3K mutation for patient drug selection, the stunning failure to identify responders at a genetic level should send a chill down the spine of every investor who has lavished money upon the current generation of genetic testing companies. It should also raise concerns for the new federal programs that have designated hundreds of millions of dollars on the new “Personalized Cancer Therapy Initiatives” based entirely on genomic analyses. The contemporary concept of personalized cancer care is explicitly predicated upon the belief that genomic patient selection will improve response rates, reduce costs and limit exposure to toxic drugs in patients unlikely to respond. This unanticipated failure is only the most recent reminder that genomic analyses can only suggest the likelihood of response and are not determinants of clinical outcome even in the most enriched and carefully selected individuals. It is evident from these findings that PI3K mutation alone doesn’t define the many bioenergetic pathways associated with the phenotype. This strongly supports phenotypic analyses like EVA-PCD as better predictors of response to agents of this type, as we have shown in preclinical and clinical analyses. An E-Publication article in the February Journal of Clinical Oncology analyzes the cost efficacy of Bevacizumab for colon cancer. Bevacizumab, sold commercially as Avastin, has become a standard in the treatment of patients with advanced colorectal cancer. Indeed, Bevacizumab plus FOLFOX or FOLFIRI, are supported by NCCN guidelines and patients who receive one of these regimens are usually switched to the other at progression. A Markov computer model explored the cost and efficacy of Bevacizumab in the first and second line setting using a well-established metric known as a Quality-Adjusted Life Year (QALY). In today’s dollars $100,000 per QALY is considered a threshold for utility of any treatment. To put this bluntly, the medical system values a year of y our life at $100,000. The authors confirmed that Bevacizumab prolongs survival but that it does so at significantly increased costs. By their most optimistic projections, Bevacizumab + FOLFOX come in at more than $200,000 per QALY. Similar results were reported for Canadian, British and Japanese costs. Though more favorable, the results with FOLFIRI + Bevacizumab still came in above the $100,000 threshold. No one doubts that Bevacizumab provides improved outcomes. It’s the incremental costs that remain an issue. Society is now confronting an era where the majority of new cancer agents come in at a cost in excess of $10,000 per month. Where and how will we draw the line that designates some treatments unaffordable? On the one hand, clinical therapies could be made available only to the “highest bidder.” However, this is contrary to the western societal ethic that holds that medical care should be available to all regardless of ability to pay. Alternatively, increasingly narrow definitions could be applied to new drugs making these treatments available to a shrinking minority of those who might actually benefit; a form of “evidence-based” rationing. A much more appealing option would be to apply validated drug predication assays for the intelligent selection of treatment candidates. In support of the latter, the authors state, “Bevacizumab potentially could be improved with the use of an effective biomarker to select patients most likely to benefit.” This is something that genomic (DNA) profiling has long sought to achieve but, so far, has been unable to do. This conceptual approach however is demonstrably more attractive in that all patients have equal access, futile care is avoided and the costs saved would immediately provide highly favorable QALY’s as the percentage of responders improved. Similar to the recent reports from the National Health Service of England, the American public now confronts the challenge of meeting the needs of a growing population of cancer patients at ever-higher costs. It is only a matter of time before these same metrics described for colon cancer are applied to lung, ovarian and other cancers for which Avastin is currently approved. At what point will the American medical system recognize the need for validated predictive platforms, like EVA-PCD analyses, that have the proven capacity to save both money and lives? We can only wonder. Cancer Patients Need Answers Now! I read a sad editorial in the Los Angeles Times written by Laurie Becklund, former LA Times journalist. It is, in essence, a self-written obituary as the patient describes her saga beginning almost 19 years earlier, when she detected a lump in her breast. 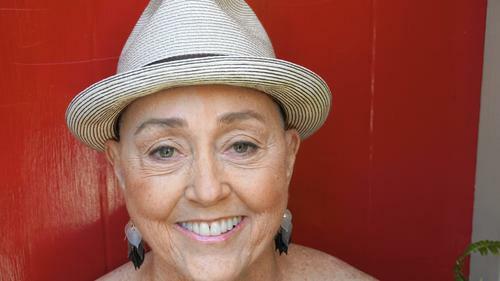 With stage I breast cancer she underwent standard therapy and remained well for 13 years until recurrence was heralded by disease in bone, liver, lung and brain. Given a dire prognosis she became a self-made expert, conducting research, attending conferences, and joining on-line forums under the name “Won’t Die of Ignorance.” Despite her heroic effort Ms. Becklund succumbed to her illness on February 8. She was 66. 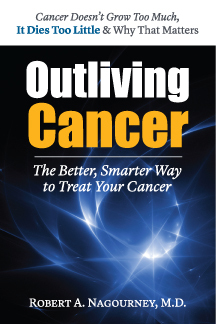 The author’s plight is shared by the millions of patients who are confronting advanced cancers. They are not interested in “why” or “how” their cancers came to be. They can no longer benefit from early detection or cancer awareness campaigns. They need practical, actionable, clinical answers today. Ms. Becklund’s commentary resonates with me and with everyone who has c ancer or knows someone who does. As an oncology fellow at Georgetown, I found myself losing patient after patient to toxic and largely ineffective treatments, all despite my best efforts. I described this in my book “Outliving Cancer.” It was then that I decided that I would dedicate myself to meeting the individual needs of each of my patients and I have used a laboratory platform (EVA-PCD) to do so. I have encountered surprising resistance from clinicians and researchers who seem to prefer the glacial pace of incremental advancement found in population studies over individual solutions found in the study of each patient’s unique biology. Ms. Becklund correctly points out that every treatment must meet each individual’s need. The role of the scientist is to answer a question (treatment A vs. treatment B) while that of the clinical physician must be to save a life. Every patient is an experiment in real time. It may well be that no two cancer patients are the same. Indeed, the complexity of carcinogenesis makes it very possible that every patient’s cancer is an entirely new disease, never before encountered. Although cancers may look alike, they may be biologically quite distinct. Meaningful advances in cancer will only occur when we learn to apply all available technologies to treat patients as the individuals that they are. Let us hope that Ms. Becklund’ s final essay does not fall upon deaf ears. An examination of the delisted drug should raise concern for medical oncologists. Among those delisted are Bevacizumab (Avastin) for colorectal cancer, Eribulin (Haloven) and Lapatinib (Tykerb) for breast cancer and Pemetrexed (Alimta) for advanced lung cancer. Additional deletions include Bendamustine (Treanda) for some non-Hodgkin’s lymphoma, Bortezomib (Velcade) for relapsed mantle cell lymphoma and Waldenström’s macroglobulinemia. Bortezomib will also be limited in some cases of myeloma, while Cetuximab will be unavailable as second or third line treatment in colorectal cancer. For American oncologists these agents have become standards of care. The breadth and scope of the drug restrictions are surprising. After all, Pemetrexed is one of the most widely used treatments for advanced lung cancer, Bevacizumab has become an established part of colorectal cancer management and Eribulin is a favored salvage regimen in recurrent breast. The withdrawal of Bortezomib, an active agent in mantle cell, Waldenström’s and myeloma, will not be suffered lightly by patients in need. Are the problems confronting the UK an early harbinger of the same for the American medical system? With aging populations in western societies and increasingly sophisticated medical technologies, the cost of medical care, particularly cancer care may soon become unmanageable. UK’s centralized medical care delivery through the National Health Service, a single payer system, was designed to save money. Despite its high-minded intentions, the NHS appears to be failing. While spending more money each year the dissatisfaction with medical delivery only grows. A nearly 12% increase in health care per person expenditures in England between 2009 and 2013 (₤1712 to ₤1912) was met with an 18% increase in patient complaints. Among the problems are progressive layers of middle management that add cost without providing care. Physicians find it more difficult to do their jobs while people inexpert in the delivery of medical care have been given decision-making power. As the English population has come to look upon health care as a right, some overuse medical services, even ER’s, for non-serious conditions. Reformers have suggested the solution may lie in charging fees for appointments or requiring an annual membership fee. In today’s political milieu however, few elected officials are likely to relish policies that end “free health care” in England. What might solve this dilemma for medical oncology? An obvious solution is to apply resources where they are most likely to benefit patients, e.g. personalized care. While this seemed a pipe dream 20 years ago when we first introduced the concept, a growing chorus of scientists now embraces the idea. With their focus almost exclusively on genomics this new cadre of clinical investigators describe a future where each patient gets exactly the right treatment. We applaud this thinking and fully agree. However, we must be prepared to use all platforms to achieve this worthy goal. To fill the current void phenotypic analyses offer substantive benefits. By capturing cancer biology at a functional level, these studies identify true “driver mutations,” and have the capacity to examine synergy and sequence-dependence, both beyond the scope of genomic analyses. As human tumor primary culture analyses (such as EVA-PCD) have already been shown to double objective response rates and improve one-year survival, it is time for government officials and policymakers to re-examine the benefits of drug selection technologies that are available today. Will the future of cancer medicine in the UK and the US be rationed under the duress of rising costs, or rational, through the application of available technologies capable of making intelligent cost- and life-saving decisions? That remains to be seen. Two related clinical trials were reported in the last several months describing the use of heat shock protein 90 (HSP90) inhibitors in lung cancer. Both trials fell short of their pre-specified endpoints casting a pall upon these drugs. However, the study of HSP90 inhibitors should not be abandoned based on these finding, as this is a fertile area of investigation and offers opportunities for the future. Human cells marshal many defenses against stress. Thermal injury can damage basic cellular functions by denaturing (inactivating) proteins. The machinery of cells is largely comprised of protein enzymes. Excessive heat coagulates proteins much the way the albumin of an egg turns white during cooking. The loss of fluidity and function ultimately results in cell death. The heat shock proteins come to the rescue by shepherding these proteins away from injury and protecting them from denaturation. There are many different heat shock proteins found in human cells, but one of the most abundant and active in cancer cells is known as HSP90 for its molecular weight in the range of 90-kilodaltons. 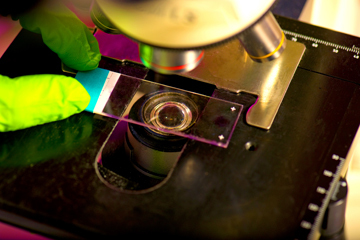 Over the last two decades investigators have explored the use of small molecules to inhibit these important proteins. Among the first compounds to be isolated and applied were derivatives of geldenamycin. Although geldenamycin itself is a poison that causes severe liver damage, its derivative 17-AAG, also known as tanespimycin, has successfully entered clinical trials. The current studies examined two other HSP90 inhibitors. One retaspimycin, has been developed by Infinity Pharmaceuticals. This clinical trial combined retaspimycin with docetaxel and compared results with docetaxel alone in 226 patients with recurrent lung cancer. None of the patients had received docetaxel prior to the trial. Drugs were administered every three weeks and the efficacy endpoint was survival with a subset analysis focused on those with squamous cell cancer. The trial fell short of its pre-designated endpoint. Interestingly, the study failed to provide benefit even in patients who were specifically targeted by their tumor’s expression of the K-Ras, p53 or by elevated blood levels of HSP90, the putative biomarkers for response. The second trial examined a different HSP90 inhibitor developed by Synta Pharmaceuticals. The drug ganetespib was combined with docetaxel and the combination was compared with docetaxel alone. The results just reported indicate that the combination provided a median survival of 10.7 months, while docetaxel alone provided a median survival of 7.4 month. Although this represented a three month improvement, it did not meet the pre-specified target. Taken together, these results could dampen enthusiasm for these agents. This would be unfortunate, for this class of drugs is active in a number of human tumors. We observed favorable activity and synergy for the HSP90 inhibitor geldenamycin and its derivative 17-AAG as we reported (Nagourney RA et al Proc. AACR, 2005). More importantly, 17-AAG (tanespimycin) provided objective responses in 22% and clinical benefit in 59% of patients with recurrent HER2 positive breast cancer after these patients had failed therapy with Herceptin. This clearly supports the role of HSP90 inhibition in breast cancer and would suggest that other more carefully selected target diseases could benefit as well. The function of HSP90 is not completely understood as it influences the intracellular trafficking of dozens of proteins. One of the complexities of this class of drugs is that they protect and enhance the function of both good and bad proteins. After all, the HSP90 protein doesn’t know which proteins we, as cancer doctors, would like it to protect. When we apply the EVA-PCD analysis to these and related classes of compounds we focus our attention upon the downstream effects, namely the loss of cell survival. That is, whatever proteins are influenced, the important question remains “did that effect cause the cells to die?” Classes of compounds with nonspecific targets like the HSP90 inhibitors will surely be the most difficult to characterize at a genomic or proteomic level: What protein? What gene? Functional platforms like the EVA-PCD offer unique opportunities to study these classes of agents. 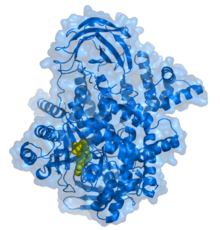 We are convinced that the HSP90 inhibitors have a role in cancer therapy. It would be unfortunate if these setbacks led us to “throw the baby out with the (hot) bathwater,” thus slowing or preventing their use in cancer treatment. A day in the life of advanced breast cancer. Two different 37-year-old breast cancer patients, both mothers of young children, were seen in consultation on the same day. The first had been referred by a colleague who was concerned that the patient’s ER positive breast cancer had disseminated to her brain despite aggressive standard chemotherapy. She was to undergo a craniotomy and a portion of fresh tumor would be submitted from the surgery to Rational Therapeutics for EVA-PCD functional profiling. The second mother had metastatic triple negative breast cancer, which recurred after aggressive standard chemotherapy. She underwent neo-adjuvant treatment (preoperative) but at the time of her surgery, there was no evidence of response to the treatment. By the time we met her, only months into her diagnosis, new areas of metastatic disease were cropping up daily. The EVA-PCD assay results on these two “similar” patients were entirely different. The results of the first patient with the ER positive tumor and brain metastases clearly identified treatments directed toward the PI3K pathway, with or without chemotherapy. We are recommending a combination of Everolimus plus chemotherapy. The second patient had a completely different profile. Indeed, the degree of drug resistance was quite striking. A three-drug combination was among the most active from almost two dozen drugs tested. The other option appeared to be a new class of drugs called the cyclin dependent kinase (CDK) inhibitors. On a functional level, we used targeted drugs to probe for sensitivity to inhibitors of these cancer signal pathways. Unlike genomic profiles that tell you whether the gene is present or absent, we can tell whether the gene is driving the tumor. Functional profiling. One patient is now under my care and the other will begin treatment under the care of a colleague in Orange County, CA. We will await results of these assay-directed therapies and wish these two young patients every success. The term “triple negative breast cancer” (TNBC) is applied to a subtype of breast cancers that do not express the estrogen or progesterone receptors. Nor do they overexpress the HER2 gene. This disease constitutes 15 – 20 percent of all breast cancers and has a predisposition for younger women, particularly those of black and Hispanic origin. This disease may becoming more common; although, this could reflect the greater awareness and recognition of this disease as a distinct biological entity. On molecular profiling, TNBC has distinct features on heat maps. 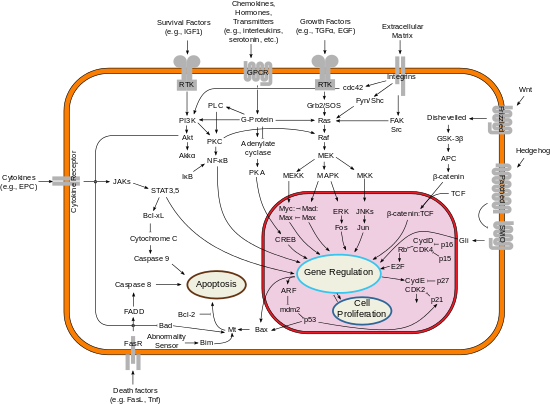 The usual hormone response elements are deficient, while a number of proliferation markers are upregulated. Not surprisingly, this disease does not respond to the usual forms of therapy like Tamoxifen and the other selective estrogen response modifiers known as SERMs. Nonetheless, TNBC can be quite sensitive to cytotoxic chemotherapy. Indeed, the responsiveness to chemotherapy can provide these patients with complete remissions. Unfortunately, the disease can recur. Complete remission maintained over the first three to five years is associated with a favorable prognosis, with recurrence rates diminishing over time and late recurrences more often seen in estrogen receptor-positive cancers. Triple negative breast cancer is not one, but many diseases. Among the subtypes are those that respond to metabolic inhibitors such as the PI3K and mTOR directed drugs. Another subset may respond to drugs that target epidermal growth factor. There are basal-types that may be somewhat more refractory to therapy, while a subset may have biology related to the BRCA mutants, characterized by DNA repair deficiencies and exquisite sensitivity to Cisplatin-based therapies. Finally, a last group is associated with androgen signaling and may respond to drugs that target the androgen receptor. Some years ago, we used the EVA-PCD platform to study refractory patients with breast cancer and identified exquisite sensitivity to the combination of Cisplatin plus Gemcitabine in this patient group. We published our observations in the Journal of Clinical Oncology and the combination of Cisplatin or Carboplatin plus Gemcitabine has become an established part of the armamentarium in these patients. The I-SPY-2 trial has now used genomic analyses confirming our observations for the role of platins in TNBC. This i n part reflects the DNA repair deficiency subtype associated with the BRCA-like biology. More recently, we have examined TNBC patients for their sensitivity to novel therapeutic interventions. Among them, the PI3K and mTOR inhibitors, as well as the glucose metabolism pathway inhibitors like Metformin. Additional classes of drugs that are revealing activity are the cyclin-dependent kinase inhibitors, some of which are moving forward through clinical trials. One feature of triple negative breast cancer is avid uptake on PET scan. This reflects, in part, the proliferation rate of these tumors, but may also reflect metabolic changes associated with altered glucose metabolism. In this regard, the use of drugs that change mitochondrial function may be particularly active. Metformin, a member of the biguanide family influences mitochondrial metabolism at the level of AMP kinase. The activity of Metformin and related classes of drugs in triple negative breast cancer is a fertile area of investigation that we and others are pursuing. The use of low-dose radiation to detect occult breast malignancies can be traced to work done at the MD Anderson Cancer Center in the 1950s. Early published studies conducted by the “Egan technique,” correctly identified the majority of palpable cancers subsequently proven malignant at the time of surgery. As a diagnostic tool, mammography is an effective means of confirming the presence, and defining the extent, of breast pathology in woman at high risk for cancer, or who note a pa lpable lump. No one is arguing the diagnostic use of this technique. Where the controversy has arisen over the last years is the use of mammography as a screening technique. To clarify the use of terminology, screening techniques are applied to the general population to identify unrecognized disease. The popularity of mammography as a screening technique led to the recommendation that every woman over 40 should have an annual mammogram. The problem with screening techniques is that they apply a diagnostic tool to a population at low risk. This burdens the technology with numerous false positives, engendering costs, risks, and toxicity for those who undergo unnecessary biopsies and surgery. The entire discussion came into sharper focus in the past week with the publication of a large Canadian study that examined the impact of mammographic screening over a 25-year follow up in women ages 40-59. What are the shortcomings of the study? Mammographers have claimed that the equipment used was suboptimal, leading to less sensitive detection that might have occurred with modern, high-quality digital equipment. There was also no group over 60. It is also theoretically possible that some patients obtained mammography after concluding the study, or had mammograms done during the study, contaminating the final results. Nonetheless, this is a high quality randomized study in a large population that fails to provide an impact upon survival for a widely used technique. Prior meta-analyses conducted between the 1960s and 1980s revealed a reduction in deaths in breast cancer between 15 percent and 25 percent in the population of women age 50 to 69. Explanations for the disparity between the current study and those older studies may include the relative lack of sophistication of the population during the 1960s through 1980s, who might fail to evaluate a breast lump, thus, earlier detection would have a significant impact on those not responding to even physical evidence of disease. A second confounding variable is the broad use of Tamoxifen, which has so profoundly influenced the natural history of breast cancer, that the earlier detection of breast cancer may be less important than the potent efficacy of anti-hormonal agents. This is an interesting wrinkle in the story, as it is contrary to most contemporary thinking that holds that early detection, not treatment is the principal influence upon better outcomes today. So where does this study leave us? There are several points that must be considered. The first is that mammography is a test not a treatment. Tests perform according to their performance characteristics, described as “sensitivity and specificity.” Within this framework mammograms are sensitive and specific enough to provide immense value ….in the right patient population, e.g. those at some risk for the disease in question. How you define that “risk” is the rub. Mammograms identify the disease; they do not influence its biology. While some may demand that more sensitive equipment for the detection of disease be implemented, a different principle may underlie the findings. This would be that cancer, at virtually any stage of diagnosis, is a systemic disease with its own trajectory. Under this scenario, mammograms in an unselected population provide little more than a lead-time bias. This term is applied when a test identifies an event earlier than it might have been found, but has no impact on the ultimate outcome. Lead-time bias is a common phenomenon in screening techniques and has been the rallying cry for those who argue against PSA screening for men. Once again, the number of patients diagnosed versus the number of patients requiring intervention is the overarching dilemma. While we seek to decipher the genetic basis of cancer using increasingly sophisticated genomic techniques, we recognize that cancer is common and that a substantial percentage of patients may not die of their disease. Cancer results from stresses that force cells to either die or seek novel mechanisms to survive. Deprived of estrogen, testosterone, nutrients, oxygen or growth factors, cells within the aging human body discover novel ways to stay alive, albeit to the detriment of the organism as a whole. However humbling, it can be argued, that it is pathways that aberrant cells pursue that guides the trajectory of the disease, largely independent of our roles as diagnosticians and treating physicians. Human cells marshal many defenses against stress. Thermal injury can damage basic cellular functions by denaturing (inactivating) proteins. The machinery of cells is largely comprised of protein enzymes. Excessive heat coagulates proteins much the same way the albumin of an egg turns white during cooking. The loss of fluidity and function ultimately results in cell death. The heat shock proteins come to the rescue by shepherding these proteins away from injury and protecting them from denaturation. 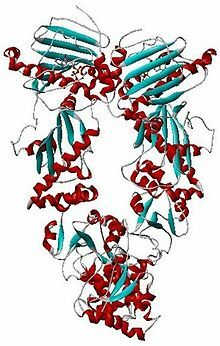 There are many different heat shock proteins found in human cells, but one of the most abundant and active in cancer cells is known as HSP90 for its molecular weight in the range of 90-kilodaltons. Over the last two decades, investigators have explored the use of small molecules to inhibit these important proteins. Among the first compounds to be isolated and applied were derivatives of Geldanamycin. Although Geldanamycin itself is a poison that causes severe liver damage, its derivative 17-AAG, also known as Tanespimycin, has successfully entered clinical trials. The current studies examined two other HSP90 inhibitors. One Retaspimycin, has been developed by the Infinity Pharmaceuticals. This clinical trial combined Retaspimycin with Docetaxel and compared results with Docetaxel alone in 226 patients with recurrent lung cancer. None of the patients had received Docetaxel prior to the trial. Drugs were administered every three weeks and the efficacy endpoint was survival with a subset analysis focused upon those with squamous cell cancer. The trial fell short of its pre-designated endpoint. Interestingly, the study failed to provide benefit even in patients who were specifically targeted by their tumor’s expression of the K-RAS, p53 or by elevated blood levels of HSP90, the putative biomarkers for response. The second trial examined a different HSP90 inhibitor developed by Synta Pharmaceuticals. The drug Ganetespib was combined with Docetaxel and the combination was compared with Docetaxel alone. The results just reported indicate that the combination provided a median survival of 10.7 month, while Docetaxel alone provided a median survival of 7.4 month. Although this represented a three-month improvement, it did not meet the pre-specified target. Taken together these results could dampen enthusiasm for these agents. This would be unfortunate, for this class of drugs is active in a number of human tumors. Through our EVA-PCD functional profile we have observed favorable activity and synergy for the HSP90 inhibitor Geldanamycin and its derivative 17-AAG as we reported at the American Association for Cancer Research meeting in 2005 (Nagourney RA et al Proc. AACR, 2005). More importantly, 17-AAG (Tanespimycin) provided objective responses in 22 percent and clinical benefit in 59 percent of patients with recurrent HER2 positive breast cancer after these patients had failed therapy with Herceptin (Modi S. et al, Clinical Cancer Research August 2011). This clearly supports the role of HSP90 inhibition in breast cancer and would suggest that other more carefully selected target diseases could benefit as well. 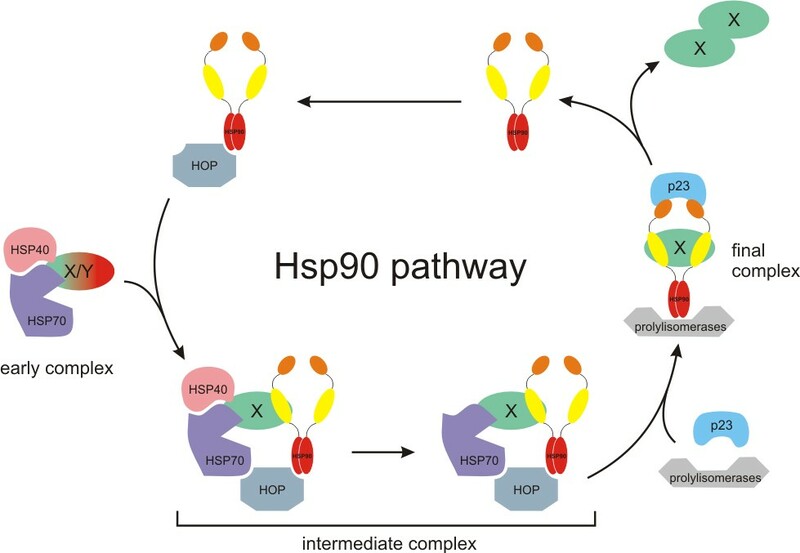 The function of HSP90 is not completely understood as it influences the intracellular trafficking of dozens of proteins. One of the complexities of this class of drugs is that they protect and enhance the function of both good and bad proteins. After all, the HSP90 protein doesn’t know which proteins we as cancer doctors would like it to protect. Classes of compounds with nonspecific targets like the HSP90 inhibitors will surely be the most difficult to characterize at a genomic or proteomic level: What protein? What gene? Functional platforms like the EVA-PCD offer unique opportunities to study these classes of agents. We are convinced that the HSP90 inhibitors have a role in cancer therapy. It would be unfortunate if these setbacks led us to “throw the baby out with the (hot) bathwater,” thus, slowing or preventing their use in cancer treatment. A study conducted by Canadian investigators and reported in the September 1, 2013 issue of the Journal of Clinical Oncology examined the impact of Metformin use on mortality in men with diabetes and prostate cancer (Margel D. Urbach DR., Lipscombe LL, Metformin Use and All-Cause and Prostate Cancer-Specific Mortality Among Men with Diabetes, Journal of Clinical Oncology, volume 31, #25, pgs 3069-3075, 2013). The investigators examined 3837 patient with a median age of 75 years. They conducted a retrospective analysis examining the Ontario Province heath care records. The intent was to examine duration of exposure to Metformin as a diabetes management in patients with prostate cancer to assess the impact on all-cause and prostate cancer-specific mortality. The results are impressive and instructive. There was a significant decrease in the risk of prostate cancer-specific and all-cause mortality, which related to the dose and duration of exposure to Metformin. The adjusted hazard ratio for the study of 0.76 indicates that there is a 24% reduction in mortality for prostate cancer-specific events with the use of Metformin. This study was not perfect, as it was retrospective, there was no randomization and it was impossible to control for all other variables such as exercise, smoking history and clinical parameters of prostate cancer. Nonetheless, there is a clear and important trend toward reduced prostate cancer and even overall mortality. This is but one of a series of clinical studies that have examined the impact of Metformin upon not only prostate cancer but also breast cancer. Much of this work was originally pioneered by Dr. Michael Pollack from McGill University in Montreal. Metformin and the closely related Phenformin are members of the class of drugs known as biguanides. While the exact mode of action of the biguanides is not fully understood, they are known to disrupt mitochondrial respiration at complex I. This upregulates an enzyme known as adenosine monophosphate kinase (AMPK) thereby altering energy metabolism within the cell and down regulating mTOR. In diabetics, this drives down blood glucose to control the disease. However, in cancer patients, a profound effect is observed that suppresses synthetic pathways necessary for energy metabolism, cellular survival and cellular proliferation. These effects appear responsible for the impact upon prostate cancer. Interestingly, these drugs are more effective in controlling already transformed cells and less effective in the prevention of cancer. This is consistent with the observation that malignantly transformed cells change their state of metabolism. This article is interesting on many levels. The first and most obvious is that this relatively inexpensive and well-tolerated drug can have an impact on prostate cancer. Secondly, these effects appear to cross the lines of different cancer types, such that breast cancer and other forms of cancer might also be successfully treated. The third note of interest shows that even patients without diabetes can tolerate Metformin, suggesting this as an adjunct to many different treatments. Finally and most importantly this represents the new and important recognition that cancer is not a genomic disorder, but a metabolic disorder. Cancer may utilize normal genetic elements to its own advantage. 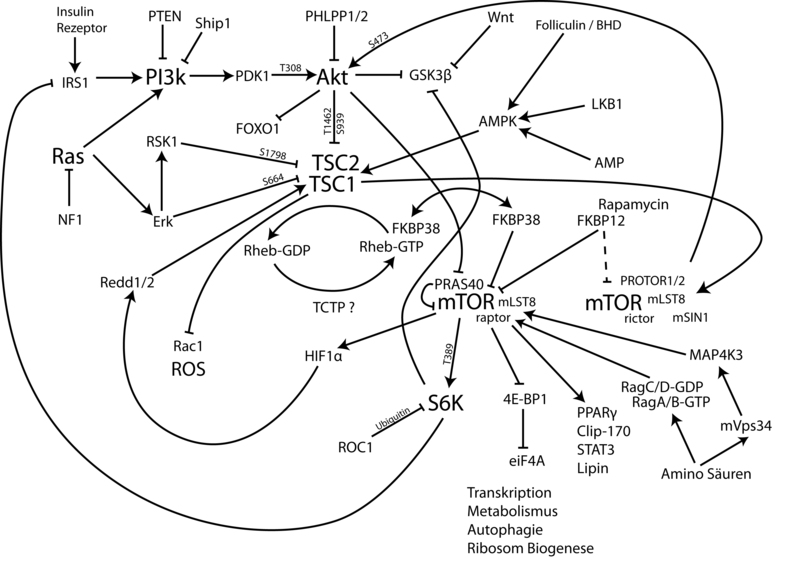 AMP kinase, LKB1 and mTOR are not unique to cancer, but instead, are found in every cell. 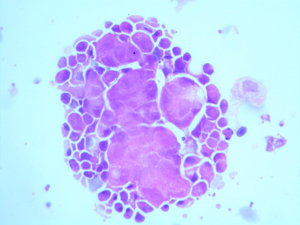 These normal proteins are simply altered in their function in malignantly transformed cells. Metformin is one of what will soon be a large number of metabolomic agents entering the clinical arena as cancer research moves from the nucleus to the mitochondrion.